Our purpose to live is to give. Whether you acknowledge it or not, someone has given to you. These charities help the helpless, and serve who have served! If you cannot donate, volunteer once a year, and share for others to be aware. I’m trying to do what I can to give back. However, this does not compare to the amount needed to help these causes. Please click on a link below and donate if only a little or share their stories for others to see and help spread awareness. 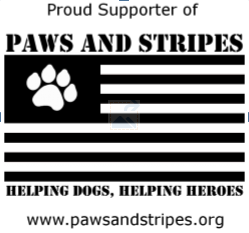 Paws and Stripes – Paws and Stripes is a nonprofit​​​​​​​​​ organization providing service dogs​​​​​​​​​​ for wounded military veterans with post-traumatic stress disorder and traumatic brain injury through integrating service dog training and education with mental health support. War Dogs Making It Home – War Dogs helps veterans better manage the invisible and lifelong challenges of post traumatic stress disorder and brain injury (PTSD/TBI) by pairing them with dogs they help rescue and train to be their service dogs. The vets are saving the dogs lives. The dogs are saving theirs, creating a better life for both. 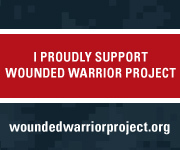 Wounded Warrior Project – Your generous, tax deductible donation to Wounded Warrior Project enables us to help thousands of injured warriors returning home from the current conflicts and to provide assistance to their families. As the number of wounded steadily increases, it is easy to see how the needs of these brave individuals also increase. If you are a service member, veteran or military family member looking for assistance with employment, education, housing, wellness, or family support meet our team and they will connect you with the community resources that can support your specific situation. There is no charge for the services, assistance or mentorship. The Humane Society– Join The Humane Society of the United States as a Humane Hero by making a monthly donation and you’ll help our efforts to shut down puppy mills, rescue animals from disasters, and save animals from dog fighting and other forms of animal cruelty. Mercy For Animals – Mercy For Animals is dedicated to preventing cruelty to farmed animals and promoting compassionate food choices and policies. Their Vision – MFA works to create a society where all animals are treated with the compassion and respect they so rightfully deserve. you will be welcomed and loved. Life Center Tacoma has been loving and serving the Pierce County community for over 90 years. There are so many other organizations that need help it would be impossible to list them all. As time goes on I will post where my donations went and for how much. Sometimes I see an abused animal through social media that desperately needs help with vet bills, or special projects for soldiers. There will be times where I will donate to other causes but usually split evenly to further help many organizations.